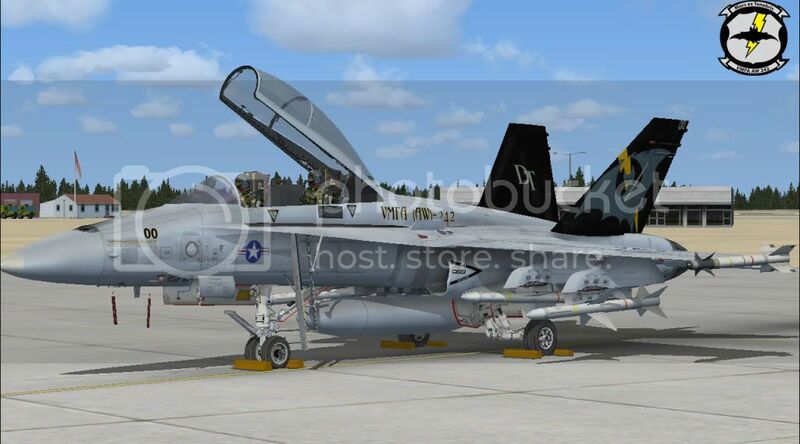 CAPTAIN SIM FORUM - VMFA-242 BATS finished..
CAPTAIN SIM FORUM › X-Load › XLoad › VMFA-242 BATS finished..
Well here she is my first CS f-18 repaint..all finished up. Im debating if I should make it available for download?? Glad you got it all sorted out and finished. It's a very nice repaint. Ty for the kind words..Yea you have to walk before you run..Thanks again for all the help. 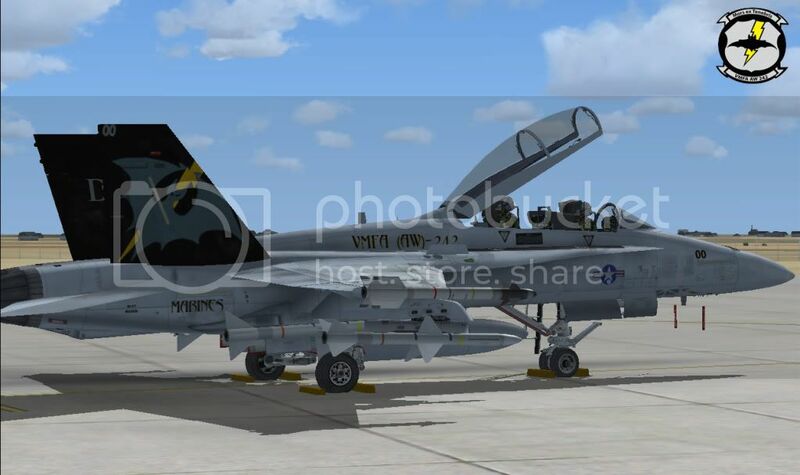 Im kinda liking the repaint myself..
Wow, just found a great side pic of the plane and I have 2 minor corrections and adjustments.. First the Rundel is all black not red white and blue, and the bat on the stabilizer had better defined eyes. Plus I think I put the step for the pilots on the wrong side.. So I will fix that.. geeze..I tell ya!!! anyways..Its up at flightsim.com under my name..